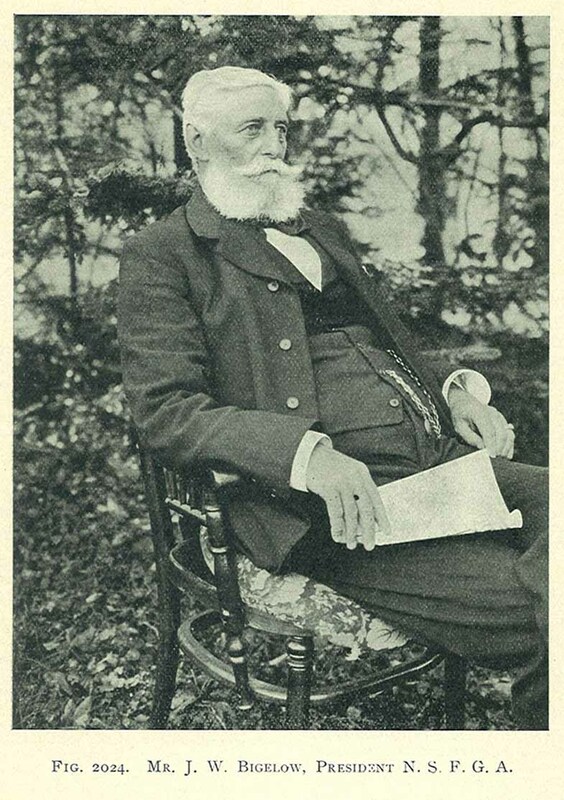 Comments: J. W. Bigelow (Nee: ) | Wolfville Canada | 1901-1920 | Comments: This portrait of Mr. J. W. Bigelow appears as frontispiece illustration to The Canadian Horticulturist, vol.24, no.4, April 1901. See that reference for more details. J. W. Bigelow was born in Canso, Guysborough Co. in N.S., Canada in 1833. He lived there until 1869. He ran a shipping business in Canso for many years. In 1869 he moved to a farm outside of Wolfville, King's Co. He was involved in horticulture and fruit science and had an orchard of his own. He was the president of the Nova Scotia Fruit Growers' Association for a time. See also the younger photo of him posted on deadfred. That is all the information I have on this photo. I am not researching this line, just saw the photo and thought I'd post it.